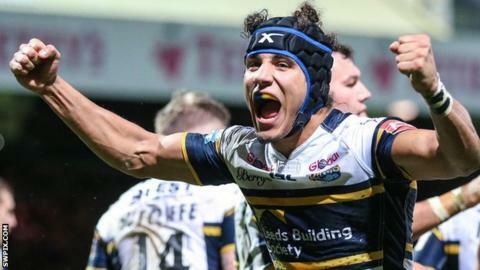 Leeds Rhinos full-back Ashton Golding has signed a new five-year deal with the Super League club. Golding will remain at Headingley until the end of the 2021 season. The 20-year-old has played 31 games for the Rhinos since his debut in 2014, including 13 appearances in 2017. Golding, who supported Leeds as a child, told the club website: "I think there is something special here at this club. It means a lot to me to play for this great club and pull my shirt on."